If you're looking for some different ab exercises you've come to the right place. 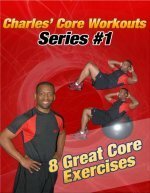 This is the best ab exercises website, and it has pictures of over 100 exercises. Some of the exercises are more traditional, and some are more creative. Below are pictures of a unique ab exercise that you probably won't see too many people doing in the gym. Starting Position: Attach a handle to the upper part of a cable machine. Stand far enough away from the resistance so that your body can bend towards the machine, and grasp the handle with the hand that is farthest away from the weight stack. Form: Exhale and use your obliques to bend your waist to the side. Hold for a brief second and then return to the starting position. Personal Trainer Tips: This is a tricky exercise to master, but once you figure out the movement you will really feel the muscle work in your obliques. 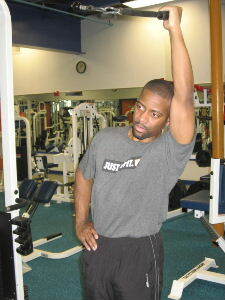 Do your best to use your waist and oblique muscles instead of your arm to move the weight. You will feel some muscle work in your arms, but more tension should be felt in the obliques. Do your best to keep your hips relatively stable and focus on moving from your spine and not your hips. Perform 10-15 repetitions on each side. Always listen to your body and build up slowly when trying new exercises. There are so many different ab exercises. You can do a few versions of this exercise, you can do the exercise with the arm closest to the resistance or you can do cable side bends with both hands overhead. 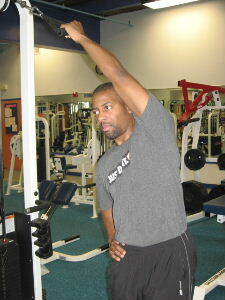 If you don't have access to a cable machine, view the directory of abdominal exercises to learn different ab exercises. Working out should be fun, so every now and then try a unique or creative ab exercise to shake things up. Challenge your body in different ways and get over the monotony of exercise by experimenting with different exercises from time to time. And don't worry about being embarrassed in the gym when you try something new, chances are people will think you're a genius and start copying you. Just do it and have fun!